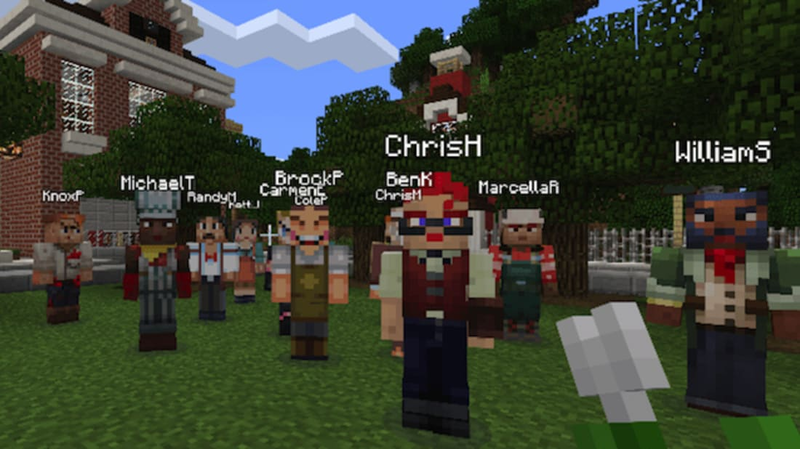 Minecraft is about to become one video game teachers will actually want their kids playing in class. As Fast Company reports, Microsoft recently unveiled a new educational version of the game that schools will be able to purchase in September. Minecraft: Education Edition comes with several special features that have been designed for the classroom. For instance, as many as 30 students can experience the same world at once with non-player characters created by teachers guiding the way. In addition, a chalkboard option helps instructors illustrate lessons as they move along while an in-game camera can be used to record the students' progress. The game also includes lesson plans that allow kids to explore versions of ancient monuments, natural habitats, and more. After students at William Annin Middle School in Basking Ridge, New Jersey tested a pilot program of the game, it's become available to a wider audience. Microsoft just launched a free version for players to try out this summer, before educators can purchase it for the school year in September. This isn't the first time Minecraft has been used as an educational tool. Last year, students at the University of Hull in the UK created MolCraft, a world where users could explore super-sized protein models in three dimensions. Now with Minecraft: Education Edition, integrating the game into the classroom will be even simpler.